The Hon. 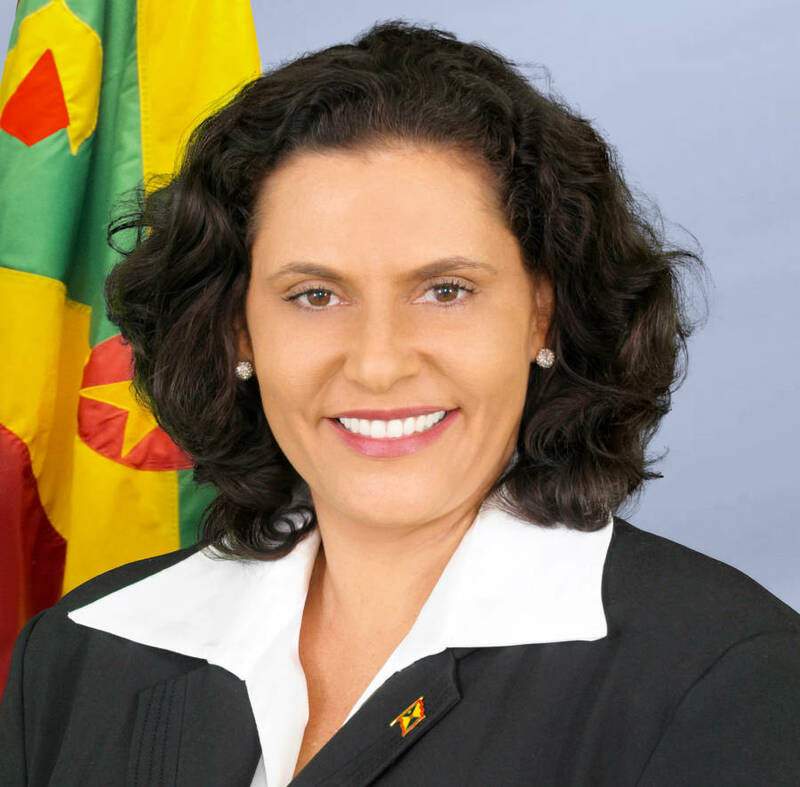 Alexandra Otway, whose appointment as Minister of Implementation took effect in December 2014, has been dedicating her passion and expertise to the promotion of Grenada across the world. Starting in early July, she travelled with Ms Micha Emmett, Managing Director of CS Global Partners, to give heartfelt speeches in London, Zurich, and China — where she headed 3 events in Shanghai, Ningbo, and Beijing. Each speech lauded Grenada’s Citizenship by Investment Programme, including its strict due diligence procedures, the careful and meticulous work carried out by the Committee, and the significant benefits that the programme has brought — and will continue to bring — to the tri-island nation. In London, the Minister joined Prime Minister Timothy Harris of St Kitts and Nevis, and Prime Minister Roosevelt Skerrit of Dominica, to promote Grenada before more than 200 experts, and agents specialising in citizenship by investment at this year’s Citizenship by Investment and International Residence Summit. Her speech, focusing on the beauty of her tri-island nation as well as its friendly business environment, was followed by a video about life in Grenada, which left viewers with music in their hearts and Grenada on their minds. The Hon. Alexandra Otway then visited Zurich, Switzerland’s commercial capital, where she held a VIP breakfast seminar in the presence of wealth planning professionals, senior private bankers, legal advisors, and private investors. The audience actively interacted with Minister Otway, who underlined Grenada’s attractiveness as a luxury travel destination, a target for foreign investments, and a dazzling option for vacation. The People’s Republic of China was the crown jewel of the Minister’s trip, where she acted as the sole Government envoy to the First Annual China Forum on Investment in Grenada. The Minister’s first stop was a press conference in the city of Shanghai, where national and local media companies interviewed her extensively on both Grenadian culture, and the investment options available to interested Chinese entrepreneurs. On 13 July, Minister Otway was interviewed by Ningbo’s most famous local talk show host in a city whose history can be traced to 4800 BC, and once marked the beginning of China’s Maritime Silk Road. The interview will be broadcast to millions of people, and will reinforce the growing friendship between Grenada and China. Attendees were charmed by Grenadian dancers and performers, including Lendon Telesford on the saxophone, Alex Lett Stafford on the steel drums, and singers Kizzie Rennie and Alana Benjamin. These talented Grenadians are students who have received a scholarship to study in China. Finally, the Minister flew to Beijing, where she was the keynote speaker to over one hundred immigration agents, interested investors, and friends of Grenada. Minister Otway highlighted the many benefits of Grenada’s citizenship programme and the nation’s rapid development as a centre of finance and investment in the Caribbean, and enchanted delegates with vivid tales of life on the Island of Spice.